• Solid forged brass construction. • Shown in Single Cylinder function. Other functions available. • Shown with Square Lever and Contemporary Square Rose, can be customized with other interior Reserve style knob, lever, or rose. 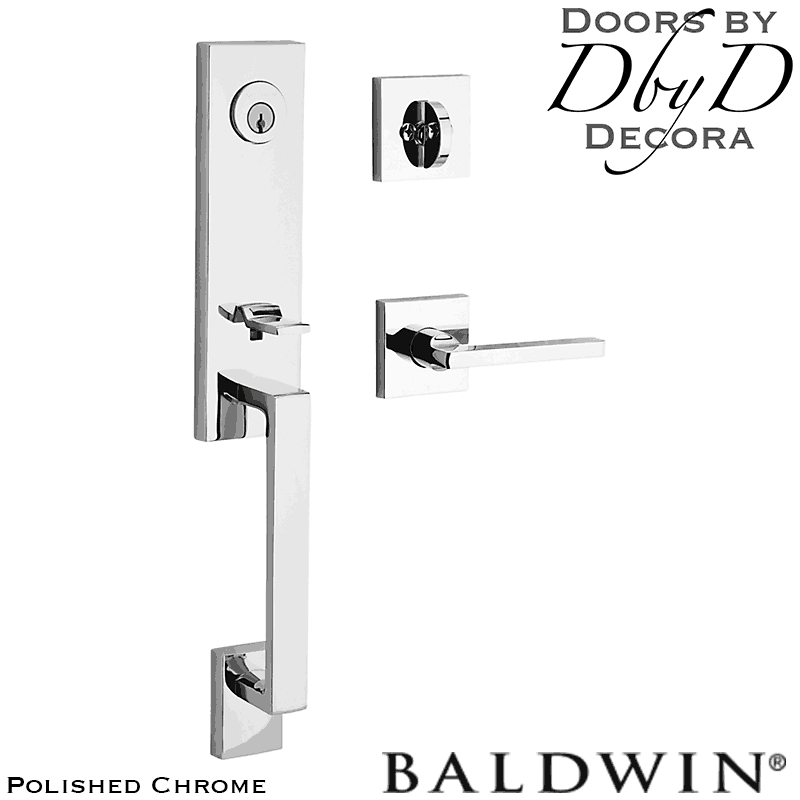 • To personalize your look, this Contemporary inspired design is available in 4 finishes. • Solid brass deadbolt latch with hardened steel roll pin for additional strength and security. • Accommodates door thickness 1-3/4″ to 2″. Up to 2-1/2″ thick door door with service part kit. 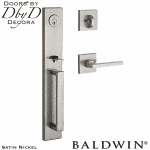 • Baldwin 5-pin C-Keyway standard. SmartKey Re-Key Technology optional. 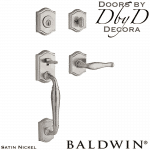 • Adjustable backset latch fits 2-3/8″ (60mm) or 2-3/4″ (70mm) pre-bored doors. • Handing only required when ordering lever interior style. • Functions available: single cylinder, double cylinder, and full dummy.